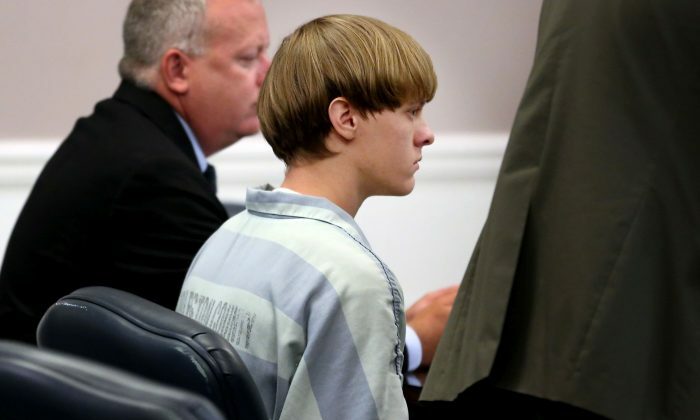 A South Carolina federal judge held a hearing on April 5 delaying the case regarding the shooting deaths of nine parishioners. Dylann Roof, 22, has been charged with nine counts of murder in state court for the 2015 summer attack at a historic black church in Charleston, South Carolina. He is also facing 33 federal hate crime and firearms charges. Joseph Meek was accused of knowing about Roof’s plan to execute Black church-goers before it took place. U.S. District Judge Richard Gergel urged the federal government to make a decision soon on whether they would pursue the death penalty for Roof, who plans to plead guilty if he doesn’t face the possibility of execution, reported Reuters. Roof’s attorney, David Bruck, said if the death penalty is ruled out, a trail would not be necessary because Roof would automatically plead guilty. “This is obviously a very important decision and one that’s being taken quite deliberately,” Assistant U.S. Attorney Jay Richardson said. Roof shot and killed Black church-goers during Bible study at Emanuel African Methodist Episcopal Church on June 17, which later sparked huge social debate about race and gun control in the U.S.
As of late, federal prosecutors haven’t announced if Roof would get executed or the federal charges he will face. He is scheduled to go on trial for murder on July 11. Roof’s friend, Joseph Meek was accused of knowing about Roof’s plan to execute Black church-goers before it took place last year. Meek is charged with concealing knowledge of a crime and lying to an FBI agent after the shooting, according to Reuters. Meek’s trial is scheduled for 9 a.m. June 27, according to reports from The Post and Courier in South Carolina. If convicted, Meek faces up to eight years in prison.